Hi, Readers. 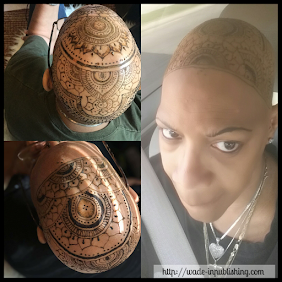 Thanks for stopping by 'IN THE CHAIR. It's a beautiful day outside today so I thought we would have our little chat in the garden. 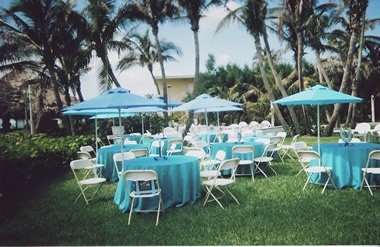 So, grab a glass of lemonade, choose any chair and as usual take a seat and get comfortable. Feel free to take your shoes off. Today our esteemed visitor is author Danielle Nicole Bienvenu. At 25 Miss Bienvenu is a professional author (Against All Odds: The Ruby Princess, 2004 paper back), (countless E-readers) and poet (Le Beau Coeur- The Beautiful Heart, 2009 paper back). 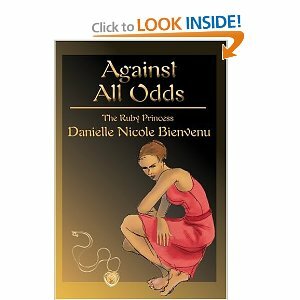 She wrote her debut novel, \"Against All Odds: The Ruby Princess\", at 14 years old. She published it at 17. She became a professional model in print and on runway at 10. Danielle became a professional actress at 12; doing commercials and acting in a pilot series with Haley Duff and Shelley Duvall. She\'s won many international pageants and has been dancing from an early age, winning awards for her choreography and dancing; performing internationally. At 18 she received her Coat of Arms from France. Danielle began song writing at the age of 6 and writing stories at 10. She is a graduate from Lamar University with a Bachelor of Arts in Political Science, and minors in French and Writing. Danielle is fluent in French as well as English. She is also a seasoned missionary. She enjoys playing guitar to her own beat, dancing in grocery store aisles and singing whenever the urge strikes. Danielle often travels with pen in hand. Danielle currently resides in Texas where she teaches French. She lives with her two dogs: Annabelle and Toby. 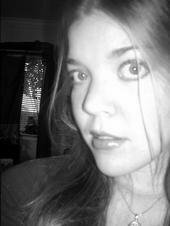 She is also a member of Faith Writers, an online forum for Christian writers. She is best known for her mystery and psychological thrillers, romance novels, poetic symbolism, and works against social injustices. Hi, Danielle. Thanks for coming. The first question I am always curious about when chatting with an author is, is why are you a writer? When did you start writing, and what did you write about? I first began writing lyrics as a young kid then later short stories when I was ten years old. I laugh when I think about it now because I wrote silly preteen stories of a group of friends in a series and illustrated it. There wasn't much to it. Thankfully, I grew drastically in writing. Please write a few lines about the books you have published, and what brought you to publishing each one of them. 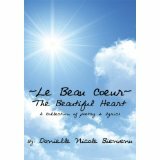 "Le Beau Coeur-The Beautiful Heart" is quite honestly one of the most terrifying things I've ever done. It's so honest and bare. I literally took the pages from my poetry and lyrics journal and published them. My friends would tell me a poem or song really resonated with them so I thought the best thing would be to reach out to others with it. "Running From My Shadow"- I'd have to say this is probably my baby out of all my books. The main character loses the love of his life then remarries. Years later he discovers the love of his life is actually alive but now he can't be with her. It's filled with suspense and a surprising twist. This book was born from me losing the person I deemed to be the love of my life and when we found each other again we couldn't be together. "My Brother's Keeper" is also close to my heart. It's about twin brothers. 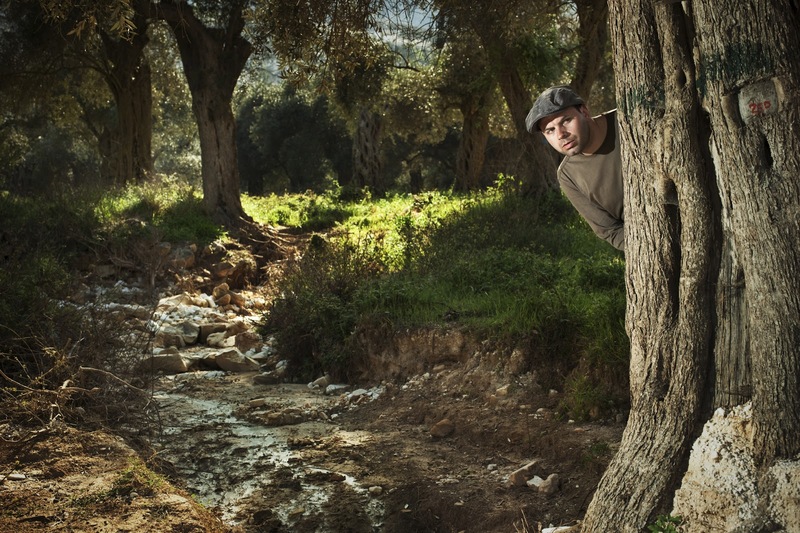 One is murdered and the surviving twin seeks to find his brother's killer and avenge his brother's death. I played on the stories of Cain and Abel and Isaac and Esau in the Bible. It's a high pace thriller. "The Gilded Mirror"- An Austrian girl is forced to become a maid against her will so she can return home. It brings light to social injustices and the idea of hope. "He's Mental, That's Why"- A girl in a small town wants to see the world then she comes across a boy who makes her second guess everything. He leaves but when he returns she's gone after her own dream. 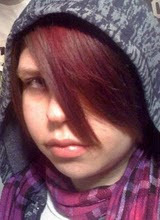 I used to be a lot like the main character in high school. 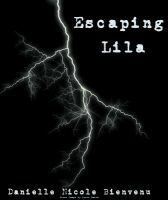 "Escaping Lila"- Lila feels her death coming on slowly and no one else seems to notice it. I took a fragment from my love life and showed the aftermath of lost love. "The Elopement" is loosely based on my Grandmere and Grandpere's story. He was a poor Frenchman from Louisiana and she was a wealthy girl with the world at her fingertips who eloped to be together. I grew up listening to the stories of their love. "Roberts, Dana, 21." 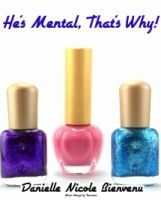 is another psychological thriller. Dana is a case study to everyone around her. She lost the memories of who she is, what happened to her and with it, the very person she was seeking when the worst thing imaginable happened to her. I played it on my own previous memory struggles about a relationship and amped it up times a thousand. "The Life of Virgina Wargenheimer" is a comedy I wrote in high school for a good laugh. No one listens to the main character and she has a dramatic sense of humor. "Once In A Lifetime" is very loosely based on my first love that began very much like best friends, Kate and Anderson's story, including the separation only their ending and mine was completely different. I wanted a character women could say "Hey, that's me. I've been there." I wanted the reader to think about how she directs her own course. 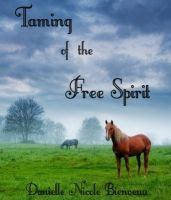 "Taming of the Free Spirit"- Is about two young people's transformations to become the people they will be while forced into marrying each other. The girl is a total free spirit and her future husband seeks to tame her. "Changing Stripes" is a short piece against racism and what happens when a Caucasian girl falls in love with a Hispanic boy. Their cultures try to keep them apart and the main character cannot fathom why people won't see her for who she is and not for the color of her skin. Racism separates two people that are very much in love. This was another one I pulled from my experiences. Are you noticing a pattern here? 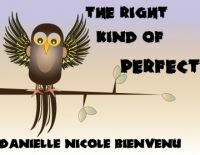 "The Right Kind of Perfect" is another comedy about teenage Tessa who is accused by the entire town of being a bird killer. Beautiful covers. With your extensive library I see you take your gift as a writer very seriously. Are you working on another book? "Sarah's Secret" is my latest e-book. This was a difficult one for me to publish but I'm so glad that I did. I've had more people generate an interest over this book than I thought possible. Sarah was molested as a child. Rejected by her family she starts a new life, one where she can save other children from what happened to her. Sergeant Elijah Ryan is caught in Iraq fighting a war he isn't sure anyone wants him to win meanwhile he is angry with God for taking his family. I'll admit, I have a thing for soldiers so it was easy for me to paint Elijah with words. I went through a similar situation as Sarah when I was a child so writing this book was really more of a therapeutic experience for me to be heard and to reach out to others. Wow, I bet having such a similar experience would make the telling of the story hard, but most definitely would be filled with emotions. 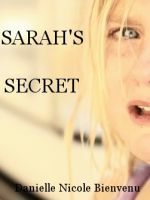 Sarah's Secret sounds as if it would be a good read. Now, that you have bared your soul, what are you writing about now and why are you writing this book? Oh boy. The tentative title is "What Am I?" about two souls that knew each other intimately in heaven's holding place of unborn souls that were later separated when they were sent to earth. Danny, the main character never feels complete without the other soul, Jade, and has reoccurring memories of his time before earth with her. He struggles in what would otherwise be a comfortable life. The story takes place on Galveston Island which is close to home. I've toyed with the idea of writing a story that takes place there for some time. Honestly, majority of the ideas do just pop into my head. My family and friends always ask me, "Where do you come up with this stuff? How do you have time to write?" My answer is I write instead of sleeping or eating. It's a passion really. No writer writes unless they are compelled by a fire inside them to do so. Sometimes my work is inspired by similar events I've experienced and twisted around to create a more intense pull to readers. It's the "What would I want to read while curled up on my sofa?" thought. I've always had a wild imagination. I use a lot of symbolism and metaphors, not just in my poetry but also in my books. I've been known to use storms to usher in someone or something in my plots. I love storms. No, I don't communicate with them actually. It's more of a conversation between myself and myself. Or I think what would I do in this situation? What would a normal person do? What would my ideal man do? Most of what I put on a page I've thought before. I'll draw from my latest book, "Sarah's Secret." Elijah Ryan would probably say, "Why the hell did you have to blow my leg off and kill my family? I'm supposed to be the hero." Elijah would like that he gets what he wants in the end but I think his war buddies, like Mitch, might enjoy it even more. I love anything creative. I write lyrics and record them on my guitar. I'm still such a book worm. My mother used to tell me to put my stack of books down on summer vacations. I love dancing in nearly any style you can think of. Black and White photography is also a guilty pleasure of mine. I love traveling, specifically doing mission work. I'm a foreign language and history nerd. I like the outdoors and rough-housing with my dogs. *Ey laughs softly* Wow, you do stay busy and I see our time has run out so why don't we go and mingle with the guest.. But before we sign off, I want to thank you, Danielle for taking time out of your busy schedule to share your life and writing experience with our visitors. Feel free to stop by anytime so we can chat again.